Free Babyganics Grime Fighter w/ Coupon! 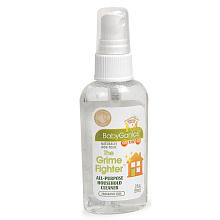 You can score free small-sized Babyganics Grime Fighter (all-purpose cleaner) at Babies R Us stores! NOTE: The coupon says HEB on it, but it is a manufacturer coupon and can be used anywhere!